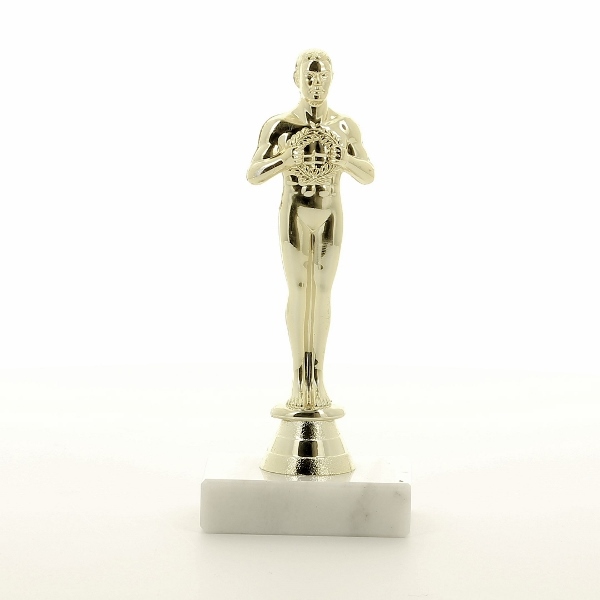 Oscar/Achievement award. The figure is mounted onto a marble type base with a engraved name plate attached with your required text. Available in 2 sizes, 7 inch and 9.25 inch high. Please specify your engraving requirements in the Text box provided.